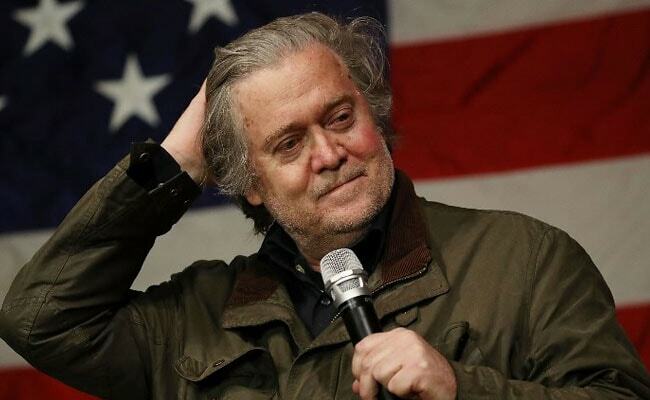 President Donald Trump said Steve Bannon had lost his mind, and the White House suggested the hard-right news site Breitbart News should part ways with him as its executive chairman. Steve Bannon said that his comments were directed at Paul Manafort and not aimed at the President's son. Washington: President Donald Trump's former strategist Steve Bannon on Sunday sought to back away from derogatory comments ascribed to him about Trump's son in a controversial book that sparked White House outrage and could threaten his job. Bannon, who was ousted from the White House in August, was quoted in "Fire and Fury: Inside the Trump White House," by journalist Michael Wolff, as saying a June 2016 meeting with a group of Russians attended by Donald Trump Jr. and his father's top campaign officials was "treasonous" and "unpatriotic." The president said Bannon had lost his mind, and the White House suggested the hard-right news site Breitbart News should part ways with him as its executive chairman. "Donald Trump, Jr. is both a patriot and a good man. He has been relentless in his advocacy for his father and the agenda that has helped turn our country around," Bannon said in a statement released on Sunday, adding that his comments were directed at Paul Manafort, Trump's former campaign manager, and not aimed at the president's son.